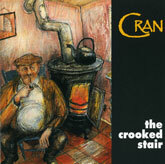 The 1993 debut album, originally on the Cross Border Media lable, and now re-released on CD, put the trio Cran on the map. Neil Martin, who was later replaced by Ronan Browne on pipes and whistles, made a significant and unusual contribution adding gorgeous cello lines to the band's sophisticated arrangements--listen in particular to "Caoineadh na dTri Muire", but his piping was surprisingly strong, in fact every bit as driving and exciting as Wilkinson's northern-style flute playing, as the two opening tracks amply demonstrate. Sean Corcoran was the designated singer and had the voice for it, as well as a talent for devising interesting bouzouki accompaniments, but all three men sang (Wilkinson even lilted), which allowed them to bring forth lovely textures mixing voices and instruments. Irish traditional music and song were the core repertoire of the group, of course, but they weren't adverse to a little exploring beyond the borders--see for instance the Breton An Dro followed by a Romanian melody, or the Corsican waltz. Serious musicianship was involved, but humorous touches were present as well--"Laugh and Half-Daft" should have you smiling. All in all, an extraordinarily varied and vastly entertaining musical creation well worth re-discovering, or hearing for the first time.